Abbmart is an online store where you can get quality brushes in reasonable prices. Abbamart is owned by its supplier, you get true factory-direct pricing, just like the high-end brand names that buy and resell brushes under their own label. There is variety of makeup brushes sets available with different price tag to suit all budget and If you don't or can't afford a set straight away buy some individual brushes of your choice. 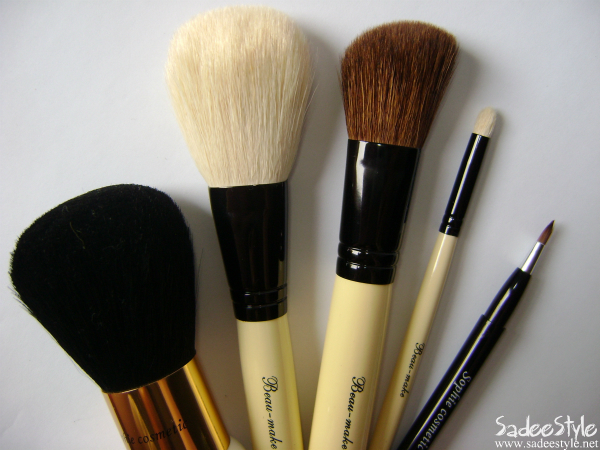 Recently, I got an opportunity to choose five different brushes from Abbmart for the review purpose. This is one of my favorite brushes comes with an extra large size, made with sheep hair and bristles are super soft. 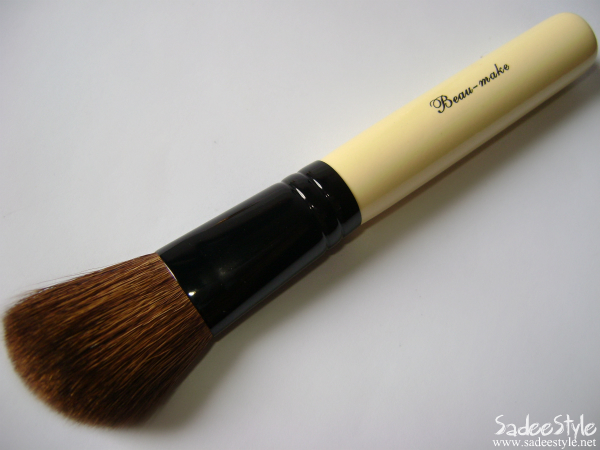 I love how the top of the brush is very domed... good for getting powder out of small space !! It has sturdy bamboo handle and firm bristles those do not fall at all. It was only 8.20$, the quality is superior and they are worth far more than they cost. I would highly recommend this brush ideal for applying finishing powder also can be used for highlighting your legs, shoulders, collarbone and arms with bronzer or shimmer. 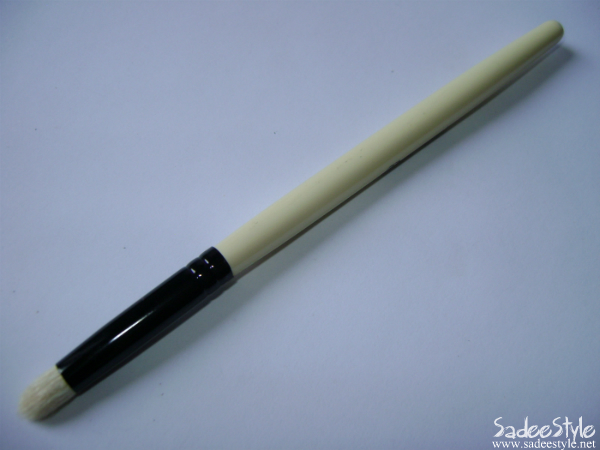 It's large angled brush, very well shaped made with fine sheep hair and has a long handle. It's an ULTRA soft, yet picks up and deposits color so easily. 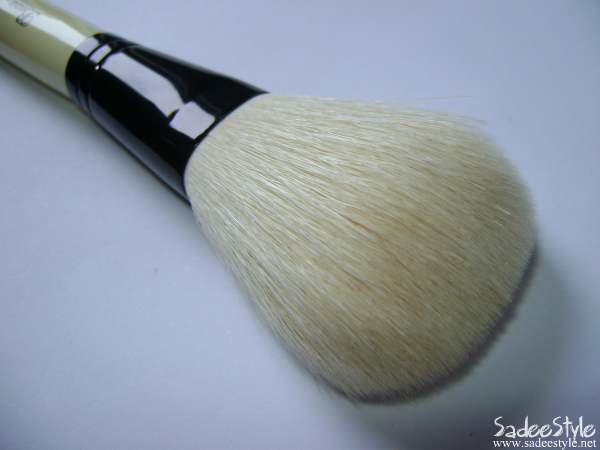 Thick and firm bristles This has to be best blush and contouring brush out there! It is angled, so its so much easier to work with and control than a round head. It's Price $6.90. This brush is way to small in size, but ideal for sweeps and blends shadow in the crease, and the tip is excellent for inner-corner highlighting. The stronger hairs of this brush lend more precision and control to contouring a smokey eye look. It's only cost 2.80 $ and made with silky white goat hair. This is the most useful brush in the range made with toray hair comes in a unique metal cap and casing to protect bristles between uses and makes it an easy take-along brush. 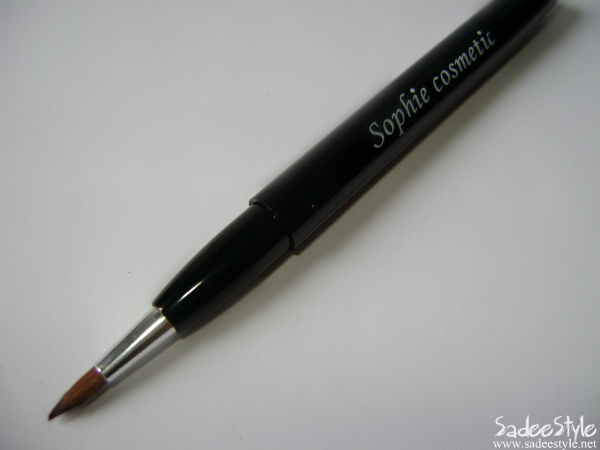 It's portable and you can take the cap off and put it on the end so you get a longer handled brush. It's firm enough to apply smooth color on the lips and best for applying lip liner and lip gloss so highly recommend. The brush is an extra large brush and very beautiful and made with natural goat hair...bristles are dense and do not shed, but it's a bit hard. It can be use to whisk away cuttings from neck and shoulders after clipping hair also it dust bronzing powder and shimmer over skin to create a luminescent glow. Its price is 5 USD. 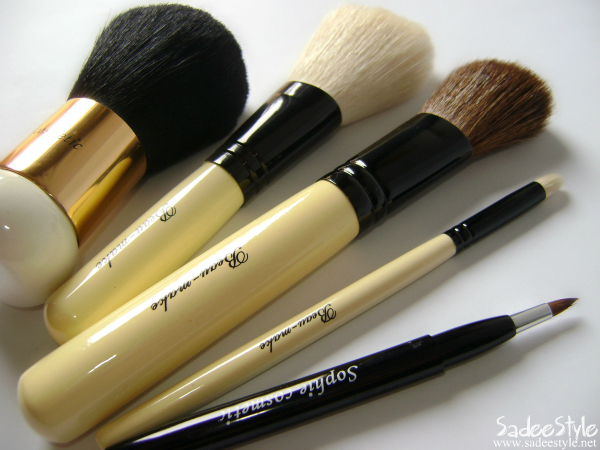 Overall it was great experience with Abbmart I found their makeup brushes very versatile, functional and good quality. They have such a huge variety of quality brushes with very reasonable price and the good thing is you can choose the brushed of your own choice if you do not want to spend an extra money on a set. They offer free shipping for international customers on orders over $100. They have brushes for all whether you are professional or beginner, you can have very high quality brushes in one place. For more detail or order check out Abbmart !! SO glad I read this! I've been looking for a brush set lately but have had such a hard time finding a great one! Oh they are so nice... :)love blusher brush..
Short Handle White Sheep Powder Brush is cute . Nice review . They look like really nice brushes! They look like a great set of brushes,Thanks for the review. These are such great prices! They look like decent brushes too. I really need to buy some new ones. Mine are in bad shape. Your blog is cool, so entertaining and good! I was unaware about choosing the right quality brushes and benefits of it..thanks for sharing this!! am following you, hope you can follow me back if you like my blog, it will also help me to comment often.